Chief 21 arrived on scene with a three story mansion , fire showing and multiple people trapped. 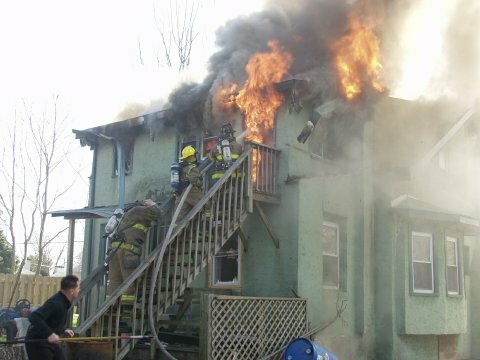 First in companies were put into service with 2" lines & search and rescue operations. Langhorne Command quickly requested a second alarm be transmitted. Two firefighters were trasported to SMC with minor injuries. One civilian remains in critical condition. Deputy 37 AOS of a 2 story dwelling (used for storage for a Roof/Siding Company) with heavy fire showing 1st and 2nd floors with possible entrapment. 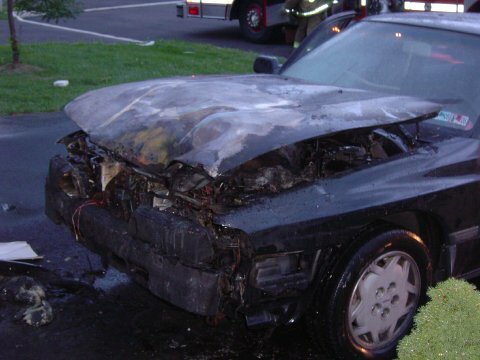 Engine 11 dropped a 5 supply line to side A and went into service with 2 ½ hand-line. Engine 65 arrived and dropped a 2nd 5 supply line to side C and went into service with a deck gun. All crews in-service for an extended period of time. 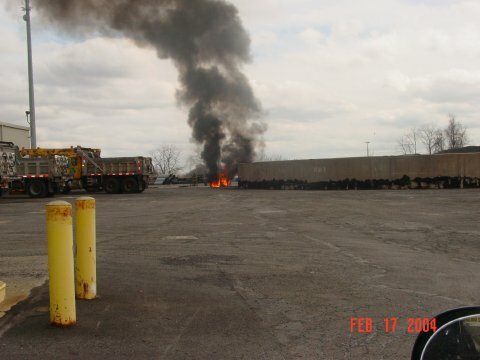 The Bensalem FMO labeled the cause of the fire to be accidental. Station 2 was dispatched at 0259 hours for a building fire in the area of Second Street Pk at the Pennsylvania Turnpike . Chief 2 arrived on the scene with a one story building , bowstring truss , fire thru the roof . 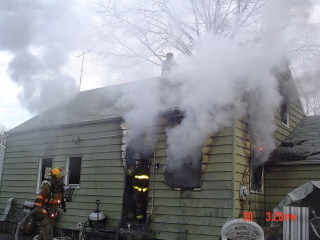 E2's crew was ordered to drop in and go in service interior. R2 , L3 & L1 were assigned ventelation. A special request was made for Montco L10 to set up in the EB lanes of the Turnpike to make access to the roof . E65 was relocated to station 2 for cover assignment along with R3 & L90 and later called into the job to assist with extensive overhaul operations in the attic. E65 took up from the scene at 0635 hours. No injuries were reported and FM273 was conducting the fire investigation. Dispatched at 1512 hours for a dwelling fire. Deputy 4 arrived on scene with a 2 story single family, heavy smoke showing. E4-1 arrived and went in service with a 2 1/2" line assisted by E1's crew. E65 split it's crew laddering side A and stretching an 1 3/4" line off of E4-1 to side B/C. Crews encountered heavy fire conditions throughout the first and second floor. 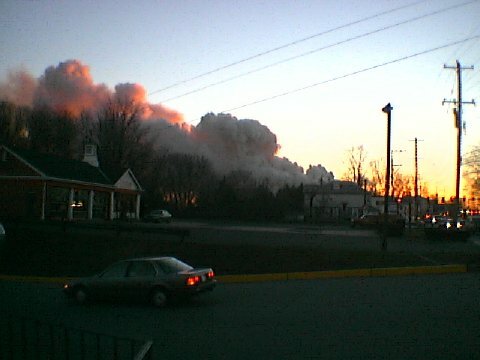 The fire was placed under control at 1535 hours. Two firefighters from station 4 were transported to FTD with breathing difficulty & chest pain. Deputy 44 arrived on location with a vehicle fully involved appx. 10 feet from the residence. 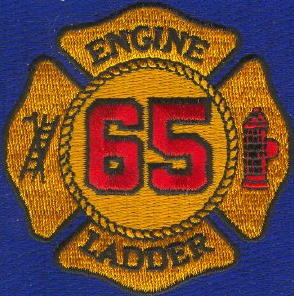 Engine 65 arrived and went in service 1 3/4. 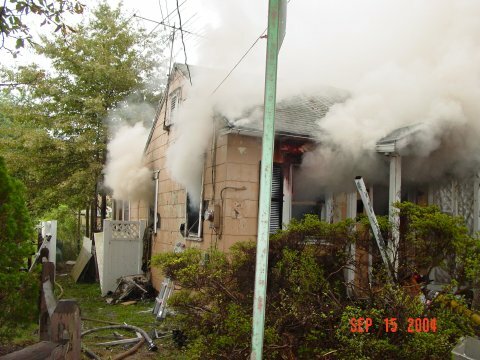 The assignment was held to Engine 65 & Tower 28 , Crews checked and found no extension into the dwelling. 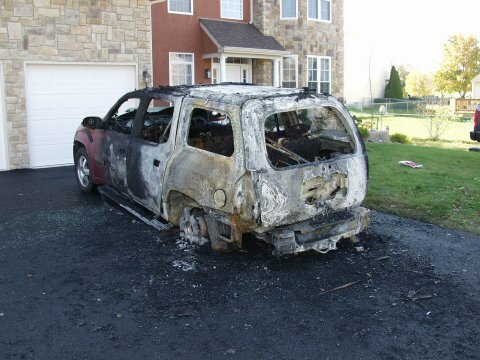 The incident was referred to the Bensalem Fire Marshal's office for further investigation. Engine 65, Engine 28, Rescue 4 & Bensalem EMS were dispatched to Street Road and Mechanicsville Road for an Auto Extrication at aprrox. 2100hrs. 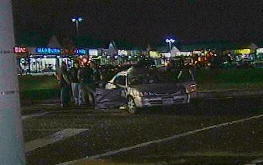 A sedan and SUV collided, killing a woman passenger in the sedan. 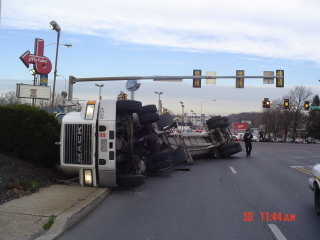 Bensalem EMS transported the other accident victims to area hospitals. 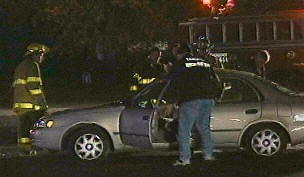 Bensalem Police Accident Investigation Unit is investigating the accident. Crews remained on scene for nearly 2 hours. 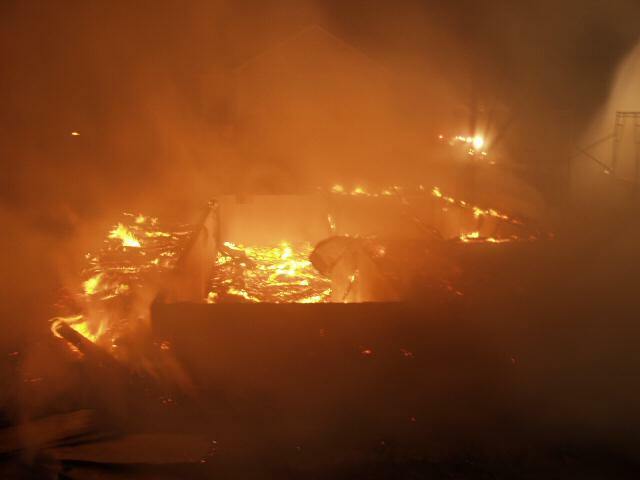 Crews were dispatched Tuesday Night at 2111 hours for a vacant dwelling fire on Flushing Road. Deputy 44 AOS with a 2 story dwelling heavy fire showing Sides A/C/D. Tower 44 went into service with its master stream devices while Engine 44/7 and Truck Companies 65 and 8 stretched portable master stream devices. 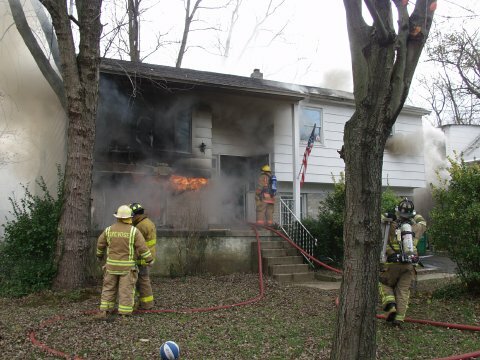 Crews were in-service for an extended period of time with overhaul and putting out numerous hot spots. 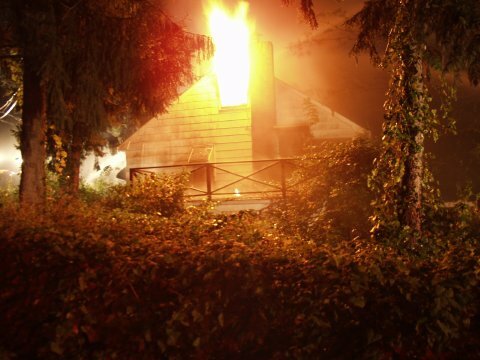 The suspicious fire is under investigation by the Bensalem Fire Marshal's Office. Deputy 65 AOS with a two vehicle accident , 1 trapped. 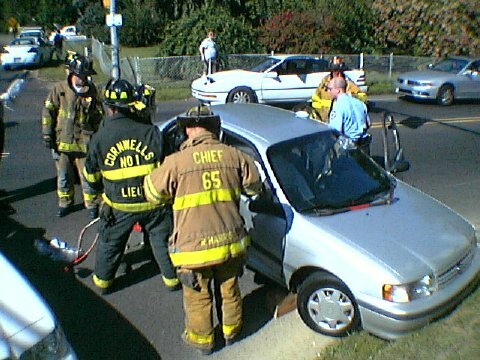 Engine 65 & Rescue 16 in service with a passenger door pop. Patient care turned over to Medic 185. Deputy 9 AOS with a 1 1/2 story single family dwelling heavy fire showing Side C - Deputy 9 added Ladder 65 to the scene. Command removed all personal from an interior attack due to the roof collapsing. Ladder 65 AOS and assisted Station 9, 21 and 8 with an exterior attack. 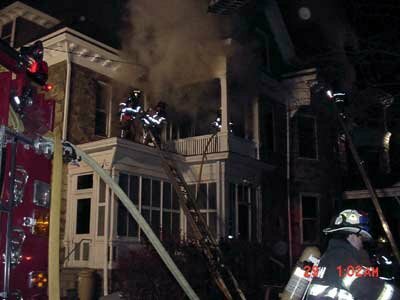 A 2 1/2'' smoothbore line was put into service on Side C of the dwelling - while a deck gun from Ladder 21 was in-service on Side A. Due to a large amount of debris in the dwelling crews were in service for an extended period of time with extensive overhaul. Middletown Twp. Public Works Department used a bulldozer to take the house down. The Middletown Twp. Fire Marshal's Office is investigating the cause of the fire. Ladder 65 dispatched with station 44/88 for a report of a dwelling fire in the area of 600 Harvard Square, Chief 65 AOS with an automobile with a fully involved engine compartment up against a town home. Tower 44 went into service with an 1 3/4 hand line - Ladder 65 Side A went into service checking for extension. Crews quickly knock the fire down and found limited extension to the dwelling sofit area. 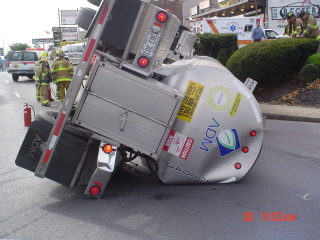 The assignment was held to 1 engine and 1 ladder and the Bensalem Fire Marshal was notified. Crews dispatched to a report of an auto extrication at the intersections of Mechanicville and Galloway Roads - Battalion 185 was on location reporting no entrapment - Deputy 65 held the assignment to Engine 65 - The crew assisted the Medic units with patient care and secured all of the hazards. 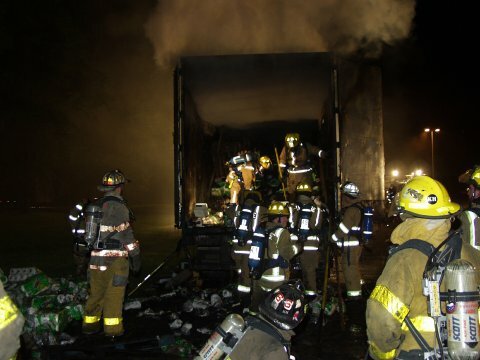 Companies dispatched to trailer fire in the rear of World Gate - Chief 4 arrived on location with a 53' trailer (filled with paper towels and wood pallets) fully involved. Engine Companies 4, 84, 65 and Ladder Company 65 went into service with portable deck guns, two 1 3/4'' water lines and truck company operations. 2 additional Engine Companies and Tower 44 were added to the scene due to the large amount of overhaul needed. Bensalem Fire Marshal and PD investigating the suspicious fire. Crews were in-service for nearly 4 hours. 1 3/4'' waterline. Initially crews had 1 occupant still inside the dwelling who was quickly removed. 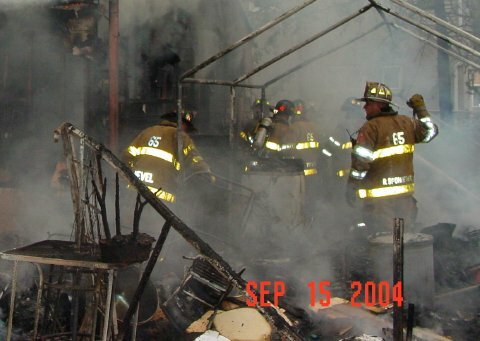 Ladder 65 went into service with ventilation and a search. 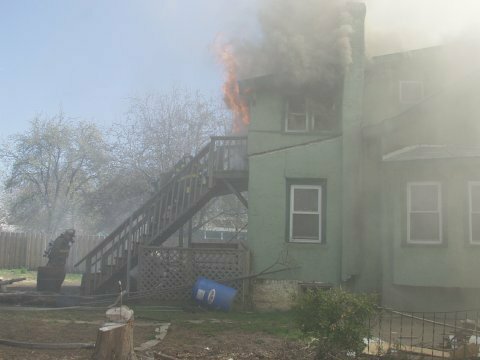 Deputy Sponheimer reported fire extension into the attic, and had an additional 1 3/4 waterline stretched and put into operation, all additonal searches were negative. Fire was placed under control at 04:24. Engine 4, Rescue 8 and Medic 186 assist Station 65. 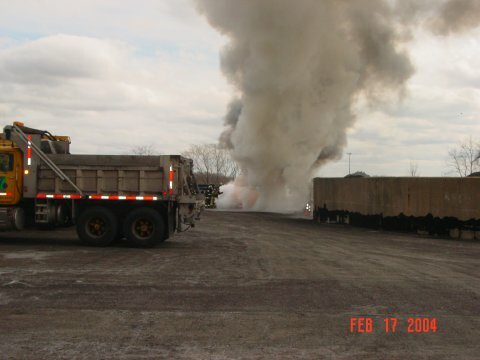 The fire which was suspious in nature was being investigated by the Bensalem Fire Marshal's Office and Bensalem PD. Chief 65 on scene with a two story S/F/D, heavy smoke showing. Engine 65 dropped a 5'' supply line and went into service with two 1 3/4'' waterlines. Chief 65 and Deputy 4 took command, Deputy 65 was interior command and Chief 8 was roof command. 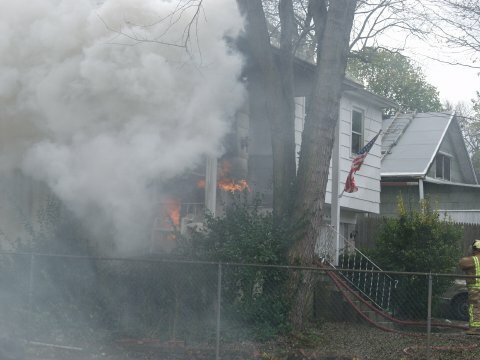 Engine 4 and Rescue 9's crew assisted Engine 65's crew with knocking down heavy fire conditions throughout the dwelling on both the first and second floors. 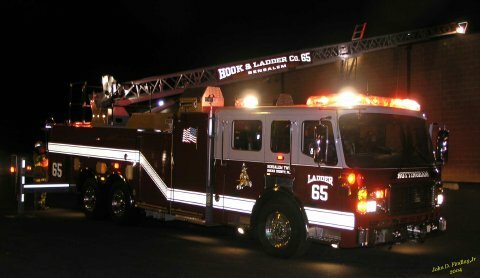 Ladder 65/Ladder 8 were in service with roof operations and extensive overhaul due to fire conditions in numerous concealed spaces. 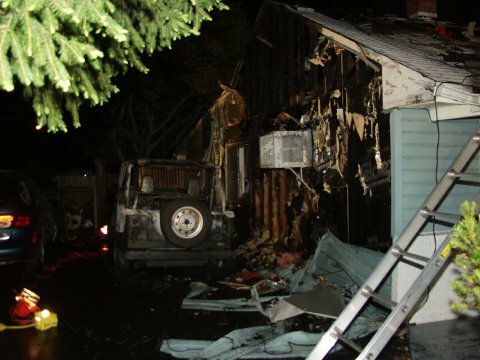 The Bensalem Fire Marshal's Office investigated the fire. One firefighter from Station 8 was transported to Frankford Hospital and released.